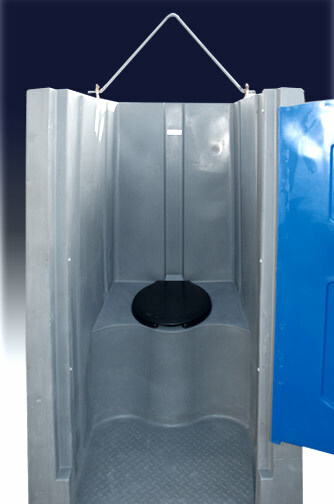 The High-Rise Head is CALLAHEAD’s portable toilet specifically designed for contracting and construction jobsites located in high-rise buildings, which may, or may not, have available elevators. However, this porta potty is also ideal for those special events that are in apartment buildings or other remote locations that require portable restroom facilities. In either situation, the use of standard-sized porta-potties is usually not an option, because they simply cannot fit in elevators or through hallways. 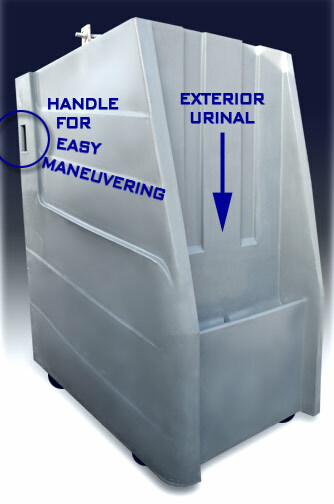 The High-Rise Head porta potty is the perfect solution, due to its small size and maneuverability. The High-Rise Head is compact, yet it is a full service portable restroom, with a standard size toilet bowl, urinal, toilet paper dispenser and privacy door. Equipped with a lifting bracket, 4 heavy duty casters (wheels) and five handles, makes this porta potty easily moved to any location. This hi-rise port a potty also gives contractors a cost effective way for crews working on multiple floors, or even between floors, to have access to portable restroom facilities. This eliminates unnecessary wasted work time, which results in loss of revenue for an employer. Additionally, with the High-Rise Head’s ability to be attached to a crane, it can be lifted to any floor convenient for your employees to use. Since the unit is only 33” wide, it can be glided through doorways, elevators, alleys and hallways with ease. This porta potty is also perfect for Special Events that are in apartment buildings or other remote locations, for the same portability and maneuverability qualities that make it great for construction situations. Whether you need a portable toilet rental on the top floor of a building, or down in a basement or cellar, the High-Rise Head has the mobility you require. 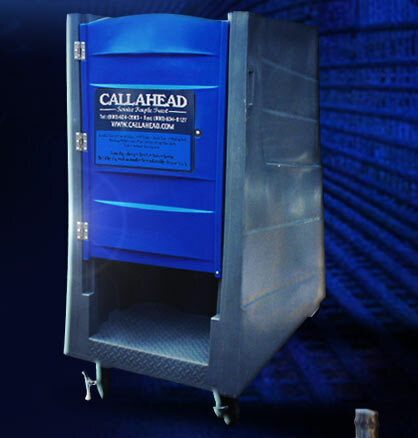 Through decades of experience in the portable sanitation industry, CALLAHEAD has accommodated just about every portable toilet rental location requested by our customers. We understand that every job and client has special requirements. 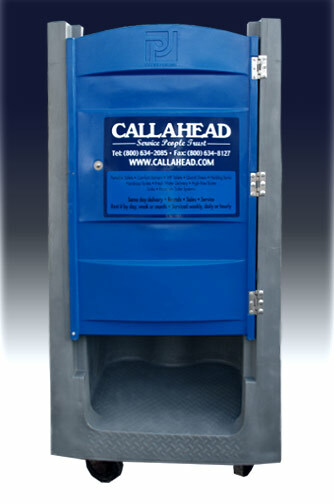 It is only CALLAHEAD that has the equipment available to fulfill all of your porta potty needs. 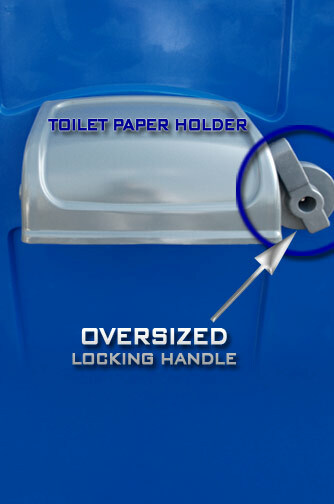 The Ultra-Portable Toilet That Fits in the Tightest Spaces! Easily Move It Wherever You Need It! Smooth Surfaces Stay Clean Longer!